Chesterfield sealed their League One play-off spot despite a home defeat against champions Bristol City. Rochdale's 3-2 loss to MK Dons means the Spireites can now finish no lower than sixth in the table. Kieran Agard slotted the visitors in front from 10 yards just after the half-hour mark before Aden Flint headed in from a corner after the break. Chesterfield's best chance saw winger Gary Roberts hit the crossbar with a dipping shot from 25 yards. Match ends, Chesterfield 0, Bristol City 2. Second Half ends, Chesterfield 0, Bristol City 2. Substitution, Bristol City. Wade Elliott replaces Jay Emmanuel-Thomas. Substitution, Chesterfield. Byron Harrison replaces Jay O'Shea. Attempt missed. James Tavernier (Bristol City) right footed shot from the right side of the box is just a bit too high. Corner, Chesterfield. Conceded by James Tavernier. Attempt blocked. Sam Morsy (Chesterfield) right footed shot from outside the box is blocked. Gary Roberts (Chesterfield) hits the bar with a left footed shot from a difficult angle and long range on the right from a direct free kick. Hand ball by Ian Evatt (Chesterfield). Corner, Chesterfield. Conceded by Luke Ayling. Substitution, Chesterfield. Gboly Ariyibi replaces Jimmy Ryan. Corner, Chesterfield. Conceded by Marlon Pack. Goal! Chesterfield 0, Bristol City 2. Aden Flint (Bristol City) header from the centre of the box to the bottom right corner. Assisted by Marlon Pack following a corner. Joe Bryan (Bristol City) wins a free kick in the attacking half. Corner, Chesterfield. Conceded by Frank Fielding. Attempt saved. Sam Clucas (Chesterfield) left footed shot from the left side of the box is saved in the bottom left corner. Substitution, Chesterfield. Oliver Banks replaces Dan Gardner. 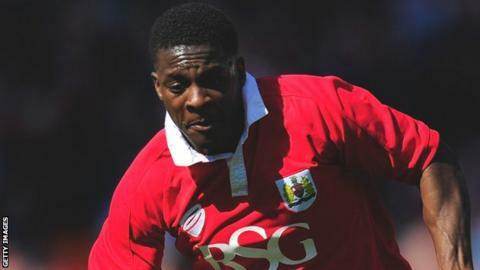 Foul by Jay Emmanuel-Thomas (Bristol City).